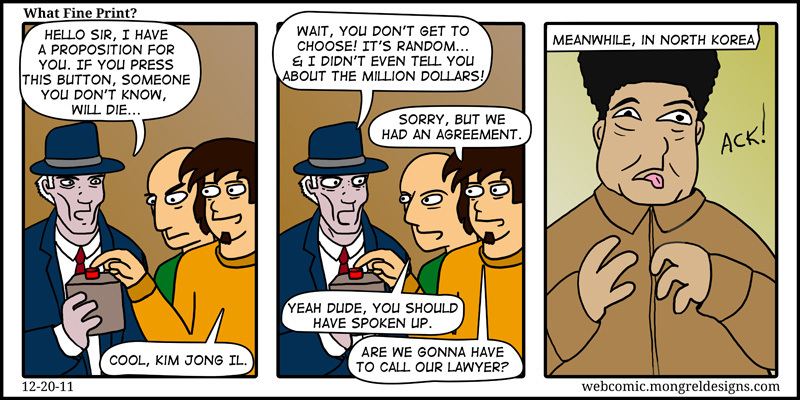 Mongrel Designs Webcomic: Webcomic 42: What Small Print? Webcomic 42: What Small Print? I get the reference, and I like it. Thanks for the comment. I know this one was a little esoteric.